What are the benefits of hiring a van to travel in? You have more room to yourself, a large number of people can travel together and there is ample space for luggage. You can make your bookings with Dallas Van Transportation through our easy to use and convenient online reservation system. 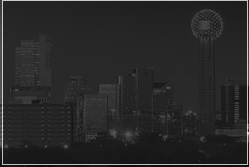 What are the benefits of travelling with Dallas Van Service by SelectDFW? You can travel together with a large number of people, with luggage and in the midst of comfort. There is enough room for everyone to relax and enjoy a drive that feels like you are on cloud 9. You can also avail of attractive and unbelievable rates when you hire our services. The vehicles we provide you with at Dallas Group Transportation are always well maintained. While our vehicles look excellent from the outside, they are also impressive from the inside. Also, their working conditions and functionalities are always tested and serviced to ensure your safety and the safety of those who travel with you. Travelling with Dallas Van Service is about having a good time. It's about taking a break from worrying about what lies ahead and just bask in the relaxation we offer you at Dallas Van Service.